Physicists naturally attack this question from as many angles as possible. A significant focus of the scientific efforts of Fermilab center on studying neutrinos produced by the Fermilab accelerator complex in order to probe this question. An experiment like CMS, designed to measure highly interactive particles, can’t directly detect neutrinos at all and might seem to be left on the sidelines in this quest. However, a popular family of theories suggests that there is an additional family of neutrino linked to the garden-variety neutrinos we know of. This linking mechanism between the known neutrinos and their exotic cousins is known as a “seesaw mechanism,” as it forces one type to become massive when the others become lightweight. Searching for unknown but massive particles is exactly what the CMS detector was designed to do. The CMS experiment has searched for such heavy neutrinos, focusing on the case where the heavy neutrino is of the Majorana type, meaning that it is its own antiparticle. As Don Lincoln explains about one of the first such searches, the production and decay of a heavy Majorana neutrino results in the signature of two leptons (electrons or muons) of the same electric charge along with jets. A more recent search at CMS used the full 8-TeV data set and focused on events in which the same-charged leptons were muons. Unfortunately, as with the previous searches, no evidence of a heavy neutrino was seen. However, the inclusion of electron and electron-muon pair events allowed CMS physicists to place significantly more stringent limits on the possible masses of heavy Majorana neutrinos. With Run 2 of the LHC under way, you can expect searches for Majorana neutrinos to push into ever higher masses. The LINAC4 linear accelerator has recently achieved beam commissioning of 50MeV and is now almost ready for the next step of increasing the beam energy even further up to 100MeV. This project is part of the LHC Injectors Upgrade (LIU) required for the needs of the High Luminosity LHC (HL-LHC). LINAC4 aims to replace the ageing LINAC2 linear accelerator, going from the present 50 MeV proton beam injection into the Proton Synchrotron Booster (PSB), the first ring in the CERN accelerator chain, to a modern H- ion beam injection at 160 MeV, more the three times the Linac2 energy. “CERN is one of the few laboratories in the world that has not yet implemented H- injection” said Alessandra Lombardi, who is responsible for the beam commissioning of the LINAC4. Injecting H- at a higher energy results in a smaller emittance in the PSB. Following the successful commissioning of the three newly designed Drift Tube Linac (DTL) tanks in November 2015, the team began its preparations for the installation of two key accelerating sectors: the Cell Coupled Drift Tube Linac (CCDTL) and PI-Mode Structures (PIMS). Built in Russia by a collaboration of CERN with two Russian laboratories, VNIITF in Snezinsk and BINP in Novossibirsk, the CCDTL is the next structure to be conditioned and commissioned with beam in the LINAC4. “The CERN CCDTL is composed of 7 modules of 3 tanklets each and it brings the energy of the beam from 50 to 100MeV” said Lombardi. The main advantage of CCDTLs over standard DTLs is that their quadrupoles are external and therefore more accessible. The accessibility of these magnets makes the construction and alignment process much more straight forward. The PIMS was constructed as part of a CERN-Poland (NCBJ Swierk) collaboration with contributions from FZ Jülich (Germany). The PIMS was assembled and tuned at CERN will bring up the beam energy from 100MeV to its final goal of 160MeV. It is composed of 12 modules for a total length of about 25m. Currently, the installation and conditioning of all CCDTL tanks and of the first PIMS is being carried out before beam commissioning begins on April 11th 2016. The commissioning of the remaining PIMS tanks expected to follow in October will allow reaching the final beam energy. Scheduled to become operational by 2020, the LINAC4 is a crucial step towards the increase in the LHC luminosity that will allow CERN to remain at the pinnacle of high energy physics research. There’s been a small but significant excess observed [1.6 σ], and a new particle is one possible explanation. What will it mean? In the 1960s and 1970s, the finishing theoretical touches were being put on the Standard Model of elementary particle physics. and the bosons: the photon (for the electromagnetic force), the eight gluons (for the strong nuclear force), the W+, W- and the Z (for the weak force), plus the Higgs boson. Image credit: E. Siegel, from his book, Beyond The Galaxy. dark matter, or the fact that some 80–85% of the mass of the Universe cannot be accounted for by the particles in the Standard Model. neutrino masses, which should have been zero, but instead are tiny (millions of times lighter than the electron) and non-zero, and require a new particle to explain their existence. the matter-antimatter asymmetry, which cannot be explained by the known particles and interactions alone, and require new physics — particles and interactions — to account for what our Universe gives us. One possible set of new particles that could give rise to the matter-antimatter asymmetry. Image credit: E. Siegel, from his book, Beyond The Galaxy. Many different scenarios exist that could explain these phenomena through the existence of new particles, but a few of the more interesting ones include supersymmetry, extra dimensions and technicolor extensions. Why are these, among others, interesting? Because if they are correct, they should give rise to new fundamental particles, particle beyond the Standard Model, that the LHC might see! Supersymmetry, for instance, predicts the existence — in all its forms — of at least one (and in most models, four) additional, heavy, Higgs-like particles. The way to discover a particle like this is to calculate, at all energies, what the expected contributions are from all the known particles to various decay pathways (two photons, two charged leptons, a W+ and W- boson, etc. ), and then make the observations and look for differences. If you find significant enough differences in the right places, you’ll discover a new particle. This is how, in the past, we’ve discovered particles like the Z, the top quark and the Higgs. Image credit: the LEP collaboration and various sub-collaborations, 2005, via http://arxiv.org/abs/hep-ex/0509008. Precision Electroweak Measurements on the Z Resonance. Note that the Z-particle appears with a “width” in energy. In December, the ATLAS collaboration announced that it appeared they had seen a little bit of evidence — not enough to claim discovery, but enough that it looked like it might not just be noise — of a new particle around 750 GeV in energy, or about five times the mass of the Higgs boson. It was consistent, they said, with another spin-0 particle, meaning that it might be another Higgs! At the same time, the CMS collaboration saw something very similar, although it was consistent with a spin-2 particle. As of last week, both collaborations have now taken the full suite of data currently available, and have come together (although with independent results) to compare. The new signal at 750 GeV, via both the CMS and ATLAS collaborations. Image credit: Pauline Gagnon, via http://www.quantumdiaries.org/2016/03/18/two-steps-closer-to-a-possible-discovery/. Before you go getting all excited, realize the following: this might turn out to be nothing! Sure, there’s something fishy going on in this 750 GeV energy range, but the statistics up there are very limited right now. There’s a very good reason that particle physicists don’t claim discoveries of new particles until a certain standard (5σ significance) is reached: the dustbin of history is littered with “discoveries” that turned out to be mere fluctuations in the data that went away with more and better data. That could be exactly what we’re looking at here. The beautiful part of this is that we won’t have to wait forever. 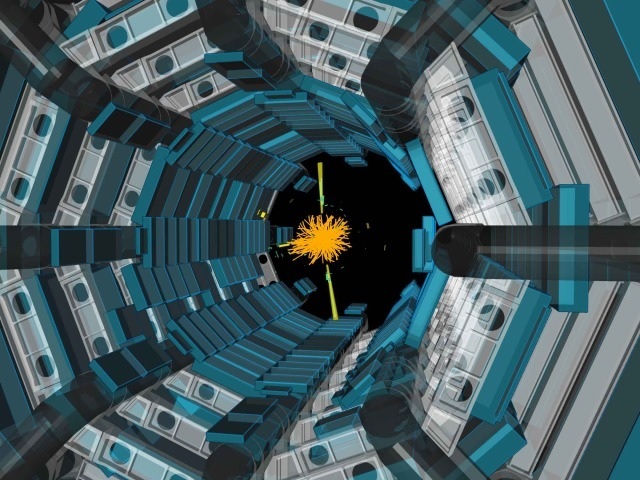 The LHC restarts at its highest energies and highest luminosities (i.e., the greatest numbers of collisions-per-second) ever this May, and by time mid-summer rolls around, we should know whether this is a true particle or merely a fluctuation. If it is a new particle, we’ll have our first direct hint of what lies beyond the Standard Model, and a new era in physics will be ushered in. But if it turns out to be a fluctuation — and if you’re a betting person, you’d be smart to bet on the fluctuation answer — it’s back to the drawing board for model-builders. The secrets of nature may turn out to be more elusive than physicists have imagined thus far. Once the detector elements are accessible, the teams have only a few weeks to get to work before they need to start closing the detector back up. “Every hour in the cavern is precious,” says Raymond. “We prioritise in advance what operations are the most important, and which can wait for next maintenance period. By harnessing the power of wakefields generated by a proton beam in a plasma cell, the AWAKE experiment at CERN (CERN Courier November 2013 p17) aims to produce accelerator gradients that are hundreds of times higher than those achieved in current machines. The experiment is being installed in the tunnel that was previously used by the CERN Neutrinos to Gran Sasso facility. In AWAKE, a beam of 400 GeV protons from the CERN Super Protron Synchrotron will travel through a plasma cell and will generate a wakefield that, in turn, will accelerate an externally injected electron beam. A laser will ionise the gas in the cell to become a plasma and seed the self-modulation instability that will trigger the wakefield. The project aims to prove that the plasma wakefield can be driven with protons and that its acceleration will be extremely powerful – hundreds of times more powerful than that achieved today – and eventually to provide a design for a plasma-based linear collider. The AWAKE tunnel is progressively being filled with its vital components. In its final configuration, the facility will feature a clean room for the laser, a dedicated area for the electron source and two new tunnels for two new beamlines: one small tunnel to hold the laser beam, which ionises the plasma and seeds the wakefields, and a second, larger tunnel that will be home to the electron beamline – the “witness beam” accelerated by the plasma. At the beginning of February, the plasma cell was lowered into the tunnel and moved to its position at the end of the proton line. The cell is a 10 m-long component developed by the Max Planck Institute for Physics in Munich (Germany). A first prototype successfully completed commissioning tests in CERN’s North Area in the autumn of 2015. The prototype allowed the AWAKE collaboration to validate the uniformity of the plasma temperature in the cell. AWAKE is a collaborative endeavour with institutes and organisations participating around the world. The synchronised proton, electron and laser beams provided by CERN are an integral part of the experiment. After installation of the plasma cell, the next step will be installation of the laser, the vacuum equipment and the diagnostic system for both laser and proton beams. Beam commissioning for the proton beamline is scheduled to start this summer. The programme will continue with installation of the electron line, with the aim of starting acceleration tests at the end of 2017. The CMS collaboration is continuing its hunt for signs of supersymmetry (SUSY), a popular extension to the Standard Model that could provide a weakly interacting massive-particle candidate for dark matter, if the lightest supersymmetric particle (LSP) is stable. 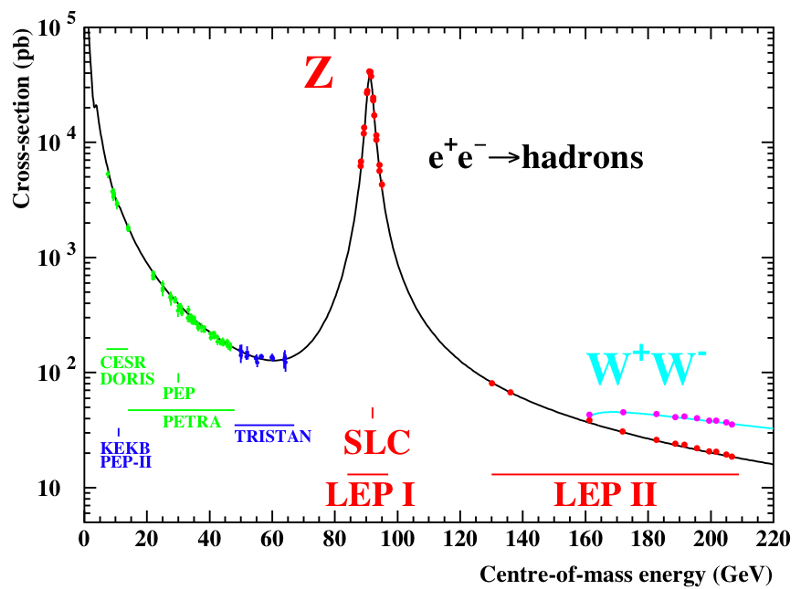 With the increase in the LHC centre-of-mass energy from 8 to 13 TeV, the production cross-section for hypothetical SUSY partners rises; the first searches to benefit are those looking for the strongly coupled SUSY partners of the gluon (gluino) and quarks (squarks) that had the most stringent mass limits from Run 1 of the LHC. By decaying to a stable LSP, which does not interact in the detector and instead escapes, SUSY particles can leave a characteristic experimental signature of a large imbalance in transverse momentum. Searches for new physics based on final states with jets (a bundle of particles) and large transverse-momentum imbalance are sensitive to broad classes of new-physics models, including supersymmetry. CMS has searched for SUSY in this final state using a variable called the “stransverse mass”, MT2, to measure the transverse-momentum imbalance, which strongly suppresses fake contributions due to potential hadronic-jet mismeasurement. This allows us to control the background from copiously produced QCD multi-jet events. The remaining background comes from Standard Model processes such as W, Z and top-quark pair production with decays to neutrinos, which also produce a transverse-momentum imbalance. We estimate our backgrounds from orthogonal control samples in data targeted to each. To cover a wide variety of signatures, we categorise our signal events according to the number of jets, the number of jets arising from bottom quarks, the sum of the transverse momenta of hadronic jets (HT), and MT2. 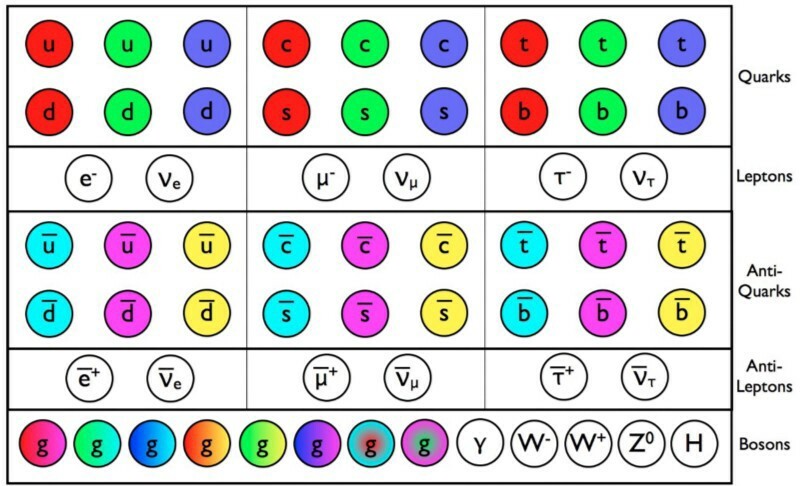 Some SUSY scenarios predict spectacular signatures, such as four top quarks and two LSPs, which would give large values for all of these quantities, while others with small mass splittings produce much softer signatures. Unfortunately, we did not observe any evidence for SUSY in the 2015 data set. Instead, we are able to significantly extend the constraints on the masses of SUSY partners beyond those from the LHC Run 1. The gluino has the largest production cross-section and many potential decay modes. If the gluino decays to the LSP and a pair of quarks, we exclude gluino masses up to 1550–1750 GeV, depending on the quark flavour, extending our Run 1 limits by more than 300 GeV. We are also sensitive to squarks, with our constraints summarised in figure 1. We set limits on bottom-squark masses up to 880 GeV, top squarks up to 800 GeV, and light-flavour squarks up to 600–1260 GeV, depending on how many states are degenerate in mass. Even though SUSY was not waiting for us around the corner at 13 TeV, we look forward to the 2016 run, where a large increase in luminosity gives us another chance at discovery. Joel Butler will lead the LHC experiment starting in September. Long before the start-up of the Large Hadron Collider, physicist Joel Butler was helping shape the path of particle physics research in the United States. He led experiments at the Department of Energy’s Fermilab, was one of the co-founders of the lab’s Computing Division, and served on the High Energy Physics Advisory Panel. Now, more than 30 years into his career as an experimental physicist, Butler’s responsibilities will become global as he takes the helm of one of the world’s largest physics experiments: the CMS experiment based at CERN. The CMS (Compact Muon Solenoid) collaboration designed, constructed and is currently operating one of the two LHC detectors that co-discovered the Higgs boson in 2012. The CMS experiment is now searching at an even higher energy for phenomena beyond the Standard Model of particle physics, such as dark matter and new fundamental particles. The collaboration consists of roughly 180 collaborating institutions and 3,000 scientists. As the spokesperson, Butler will be responsible for guiding the technical and scientific endeavors performed by universities and laboratories in more than 40 countries. He will also represent CMS in its interactions with other organizations and the public. 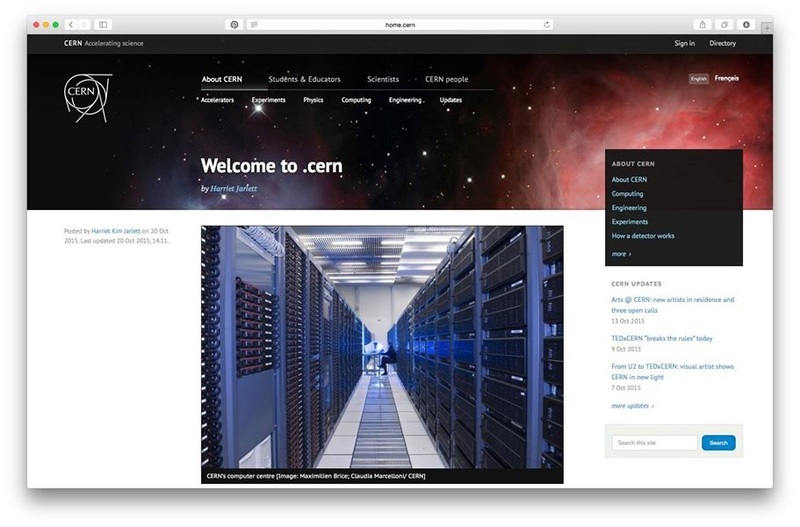 Tiziano Camporesi is the current spokesperson of CMS experiment. He will lead the collaboration through the LHC’s spring start up and a summer of data collection before passing the baton to Butler in September 2016. He is looking forward to working with Butler through the challenges ahead. Butler joined the CMS collaboration in 2005. He oversaw the construction of the US-funded forward pixel detector and managed the US CMS Operations Program between 2007 and 2013. He is currently helping develop upgrades that will enable the CMS detector to handle higher collision rates in the future. During his term, Butler’s main goal is to understand the needs and abilities of CMS’s contributing institutions to maximize the scientific output of the CMS experiment and prepare the detector for the high-luminosity LHC run in 2020. Even though Butler has spent nearly a third of his scientific career working on the CMS experiment, he admits that there is still a lot left to learn about the experiment and its collaborators. Butler’s term will start this fall and bring the CMS collaboration up to the end of LHC Run II in 2018, when the LHC will shut down for another round of upgrades before ramping up for Run III. Butler says he is looking forward to working with a large and diverse population of scientists at an important moment in physics history. “It’s a fantastic group of people, and my assignment is to help them all do the best job they can for CMS,” he says.